The largest Chip in the bag took an impressive 14 seconds to munch through and swallow. Not at any time did it lose its crunchiness throughout. The thickness of the Chips provided a wholesome crunch, there was nothing crisp and snappy about them at all. These Chips had heaps of character. They were mostly large and unbroken. They differed in color. They were a myriad of shapes and sizes, with bends and curves and no two looking alike. There was a tiny amount of skin visible on some edges and a few were oilier than others - some had more orange colored seasoning on than others. The Fore-Thumb Test revealed a medium amount of grease and a little salty seasoning. The Nose Plunge Test revealed a smell somewhat reminiscent of an empty cardboard box. After shovelling the contents of the bag into a bowl we went straight for the most heavily coated Chips. Unfortunately they did not have quite as much barbecue seasoning as we would have liked. 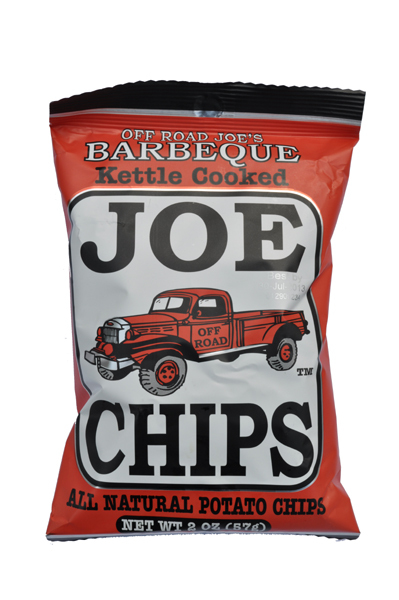 There is an instant salty then sweet taste followed by a light sort of smoky barbecue flavor. The after-taste was a bit oily.